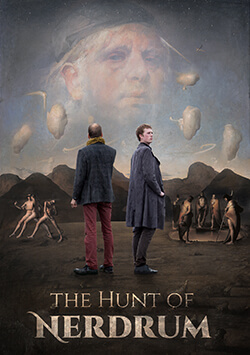 Roger Scruton and Odd Nerdrum. Painter Odd Nerdrum and philosopher Roger Scruton, to discuss beauty, kitsch, and representational art of the 21st Century at TRAC2014. The Representational Art Conference 2014 (TRAC2014) is an international academic event exploring the direction of representational art in the 21st century. The conference takes place in the seaside town of Ventura, California, March 2-5, 2014. TRAC2014 will focus on the aesthetic principles and values implicit in the representational art of the 21st Century. Having established at TRAC2012 that the representational art community has an important voice, it is timely to explore and articulate its distinctive aesthetic values, vision and philosophical outlook. Our purpose is not to establish a single monolithic aesthetic for representational art, but to identify commonalities, understand the unique possibilities of representational art, and perhaps provide some illumination about future directions. What relationship to the world is the artist striving for? What values guide the hand? In addition to the special papers on Odd Nerdrum, papers of high quality on a variety of topics in the aesthetics of contemporary representational art are invited and welcomed.